The 2-bed Walled Gardens Lodge is a pet-friendly option and pets are welcome at a fee of €50 to be paid in the hotel on arrival. The Walled Garden Lodges are set in the grounds of the former orchards and greenhouses with many of the features still present. The area is also home to one of Ireland’s oldest trees, “The Cork Tree” located in the South West corner of the walls. All floors are wooden with the exceptions of the kitchen and bathrooms which are tiled. The inner door leads into the bright and spacious open-plan dining and kitchen area. Open meadows, manicured lawns and formal gardens are a perfectly natural setting for The Spa. The very essence of luxurious relaxation. The Spa at Castlemartyr Luxury Resort Cork featuring ESPA is Wellness, Spa and Fitness Centre unlike any other, and is the ideal destination for relaxing and pampering during your next spa break. It is truly an oasis of calm far removed from the daily hustle and bustle of life. Be transported to a different world when entering the spacious and contemporary Spa at Castlemartyr. The Castlemartyr Golf Resort is an 18 hole, 6,790 yds, Par 72, inland links style course. It is the creation of renowned golf course designer Ron Kirby and is designed to be challenging and pleasurable for players of any calibre. Castlemartyr Golf Club provides first class service across all aspects of the golf spectrum, from the course to the Club House and Pro Shop. 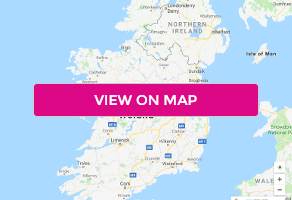 Situated in one of the richest historical parts of Ireland, nearby places to visit include Fota Wildlife Park, Old Jameson Distillery and numerous small fishing villages, market towns and sweeping landscapes that East Cork has to offer. Guests can also choose to explore the historic towns of Youghal and Cobh, famous for having the second largest natural harbour in the world and was the last port of call for the Titanic.